Dana Dragomir is the first professional female Pan flute player in the world. A true master of her instrument, Dana is known as the Queen of the Pan flute. Her record sales have exceeded over 1 million albums in Scandinavia only and several millions around the world being quoted as the best selling instrumental artist in Scandinavia. Dana’s music is modern and innovative. New Adult Contemporary, a mixture of Pop, World and New Age music. Because her instrument is so complete and complex, she prefers to call it Pan Flute rather than Pan Pipes, a name more appropriate to the primitive south American flutes. The Pan Flute is the official National instrument of Romania and it used to be played by men only, due to an old strong tradition. 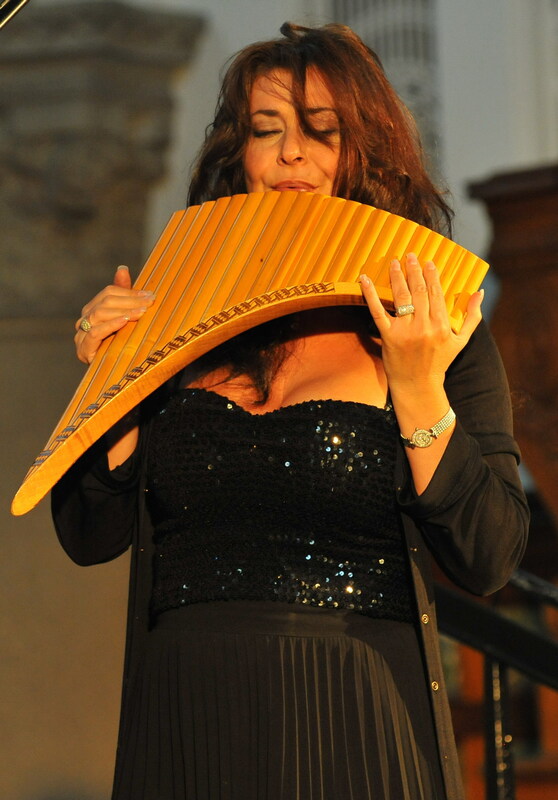 The history of the Pan Flute goes back to the ancient Greek Mythology. The flute has 22 pipes made of Bamboo. Mozart named it Die Zauberflöte (The Magic Flute). Dana Dragomir is a unique artist. Good looking and charismatic performer on stage and TV, an excellent and genuine musician. Dana has a twelve year education at the prestigious ‘Dinu Lipatti’ and ‘George Enescu’ High School of Music in Bucharest, her place of birth. Dana was discovered and became an established star already at the age of sixteen in her native country. She left Romania towards the end of the Ceausescu era. herself. 1991 she’s got her big breakthrough in Sweden with the song “Mio my Mio” written by Benny Andersson and Björn Ulvaeus of ABBA. The world is her stage ever since. Dana has recorded ten albums and many compilations were she contributed with new recordings as well.